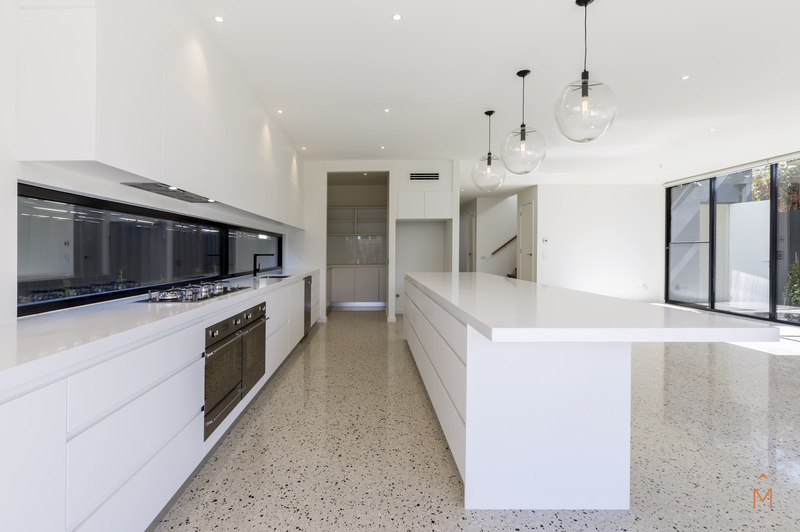 Discerningly designed with only the highest quality fittings and finishes, this 5 bedroom, 3 bathroom home by the beach offers flawless low-maintenance living for the whole family as well as the au pair. 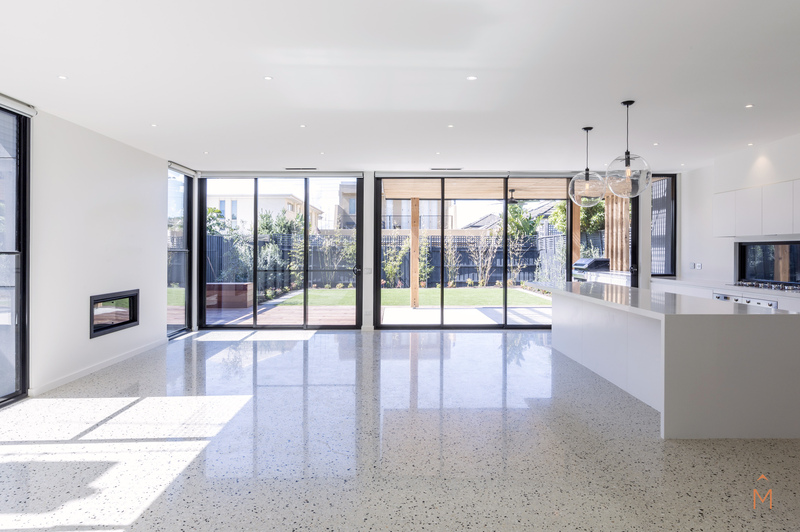 Enter via an impressive oversized glass door to discover soaring ceilings, polished concrete floors and a flood of natural light. The ground floor is home to a spacious guest room with central bathroom access and garden views, a large utility, and a spacious open-plan living, dining and kitchen. 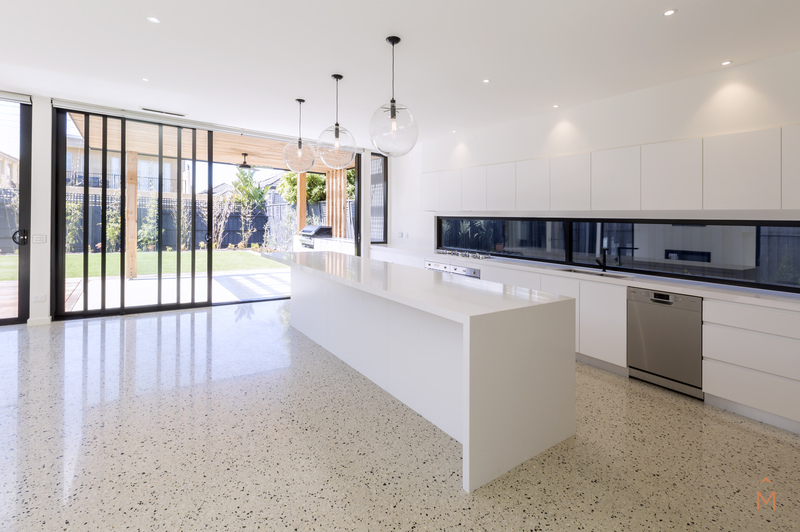 The kitchen is nothing short of spectacular with Smeg appliances, double oven including steam oven, gas cooktop, stone bench tops, window splashback, 3-meter island bench with soft-closing storage & butler’s pantry. 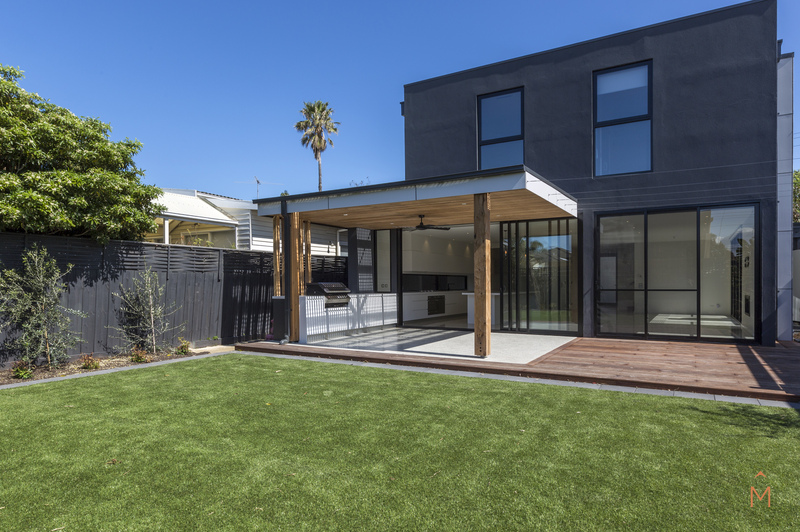 Huge floor to ceiling glass doors open to reveal an undercover BBQ and entertaining area with overhead fan, separate built-in seating zone, landscaped garden and lush (NO maintenance) lawn. Upstairs houses the sumptuous master suite with private balcony and sea views, opulent marble ensuite and dreamy walk-in robe. 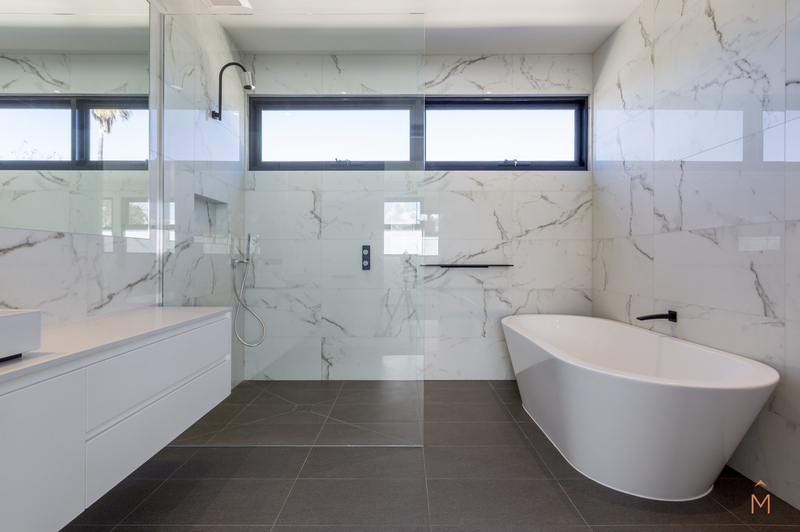 Three further bedrooms all with built-in robes are serviced by another sensational marble bathroom with frameless glass shower, free-standing bath, matte black fittings and floating vanity. A second living area completes the level. 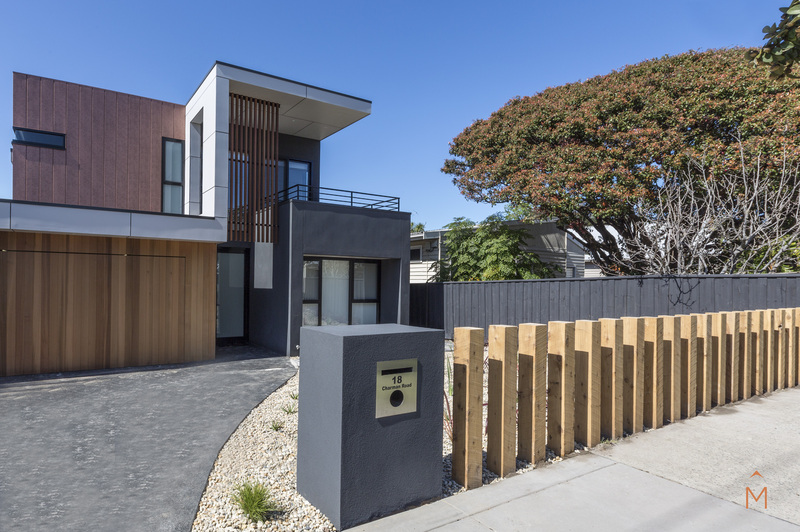 Aside from the magnificent multiple living spaces and a position mere meters from the beach, cycling and walking tracks, 18 Charman Rd is close to schools, transport shopping and dining hubs. 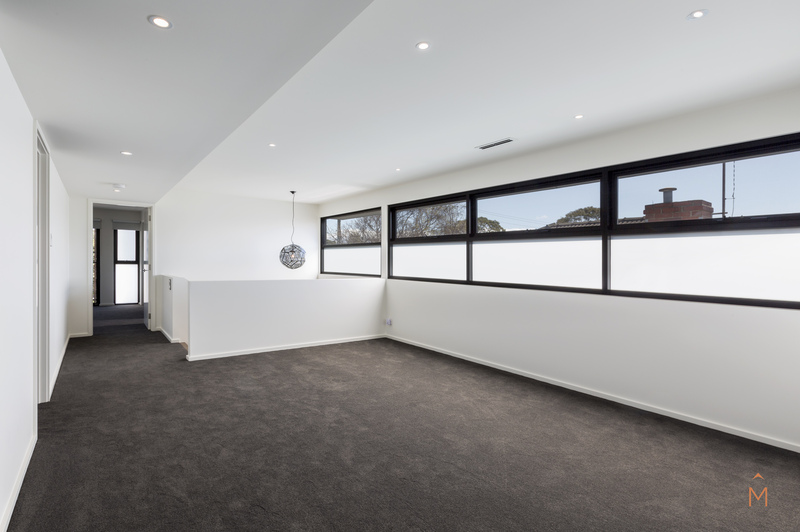 Additionally, it boasts under floor heating & cooling throughout, double auto garage, under stair storage and security. 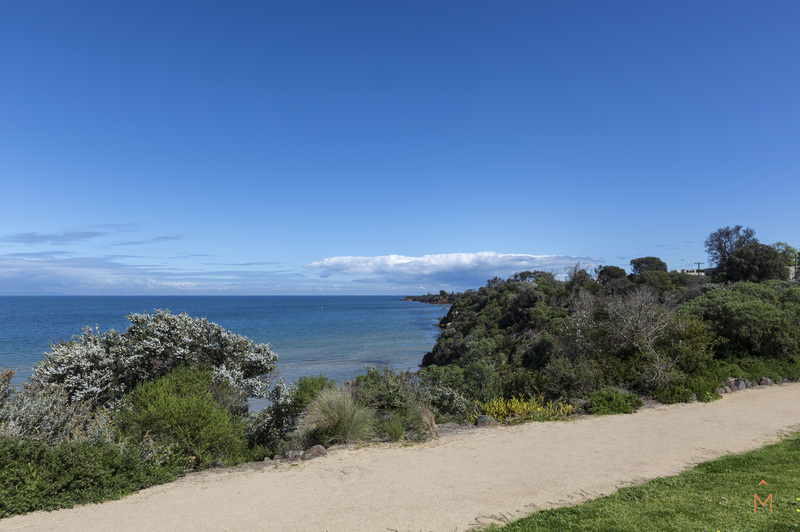 Be the first to lead a leisurely beachside lifestyle in this outstanding home. Maîson conduct private inspections, please contact our office for an appointment.